Coverage of all greenhouse-inducing gases: Unknown. Carbon Capture and Storage in the Clean Development Mechanism: Unknown. The Obama administration is prepping for an active role in the post-Kyoto Protocol climate change negotiations. For a start, the Obama White House has "invited the leaders of 16 major economies - and major emitters of greenhouse gases, like the United States - to a forum on energy and climate in Washington. The United Nations leader also is invited. And today at U.N. talks in Germany, the U.S. rolled out its climate-change negotiating team." The April 27-28 Major Economies Forum on Energy and Climate to be held in Washington is designed to "generate the political leadership necessary" for a successful outcome at U.N. climate change negotiation in Copenhagen, Denmark, in December. The conference will "advance the exploration of concrete initiatives and joint ventures that increase the supply of clean energy while cutting greenhouse gas emissions," the White House said. In addition to the U.S., "the other parties are Australia, Brazil, Canada, China, the European Union, France, Germany, India, Indonesia, Italy, Japan, Korea, Mexico, Russia, South Africa and the United Kingdom." The White House has made clear that this conference aims to "augment U.N. talks that are meant to culminate in an agreement in Copenhagen in December." It will play "an important piece of the puzzle of how we get from [where we are] to Copenhagen." Annex I countries are required to submit "national communications" to the UNFCCC, to report on progress in implementing the convention, as are those that have ratified the Kyoto Protocol. "Fourth Climate Action Report to the UN Framework Convention on Climate Change," U.S. State Department, July 27, 2007. ↑ "List of Signatories & Ratification of the Convention (pdf)," Status of Ratification, UNFCCC website, accessed October 2008." 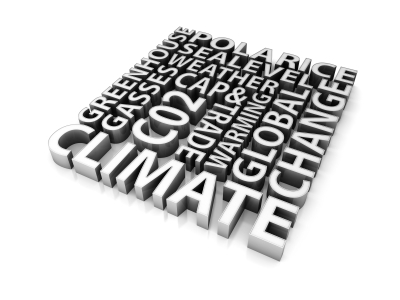 ↑ "Glossary of climate change acronyms", accessed September 2008. ↑ 3.0 3.1 "Executive Summary (pdf)," U.S. Greenhouse Gas Inventory Reports, U.S. Environmental Protection Agency, April 2008. ↑ "USA quick facts," U.S. Census Bureau, accessed October 2008. ↑ "A global emmissions standard?" The Boston Globe, September 10, 2006. ↑ "Kyoto Protocol: Targets," UNFCCC website, accessed October 2008. ↑ "Chapter 5: Projected Greenhouse Gas Emissions," Fourth Climate Action Report to the UN Framework Convention on Climate Change, July 27, 2007. ↑ 8.0 8.1 8.2 8.3 8.4 8.5 8.6 8.7 8.8 "Chapter 4: Policies and Measures," Fourth Climate Action Report to the UN Framework Convention on Climate Change, July 27, 2007. ↑ "Environment and Energy" Obama and Biden Campaign website, accessed April 2009. ↑ "Chapter 1: Introduction and Overview," Fourth Climate Action Report to the UN Framework Convention on Climate Change, July 27, 2007. ↑ "Annex I: Key Category Analysis (pdf)," U.S. Greenhouse Gas Inventory Reports, U.S. Environmental Protection Agency, April 2008. ↑ "Cover page," Fourth Climate Action Report to the UN Framework Convention on Climate Change, July 27, 2007. ↑ "United States of America," UNFCCC website, accessed November 2008. ↑ "Kyoto Protocol Status of Ratification (pdf)," UNFCCC website, October 16, 2008. ↑ George W. Bush, "Text of a Letter from the President to Senators Hagel, Helms, Craig, and Roberts," The White House, March 13, 2001. ↑ 17.0 17.1 Jan Burck, Christoph Bals, Marisa Beck and Elisabeth Rüthlein, "Climate Change Performance Index 2008: A comparison of the 56 top CO2 emitting nations (pdf)," Germanwatch, December 2007. ↑ "Climate Change Performance Index Report 2009" Germanwatch, April 2009. ↑ "Carol Browner on Climate Change" U.S. News and World Report Online, March 9, 2009. ↑ "On Climate Change, Henry Waxman Wants Congress to Act" U.S. News and World Report Online, March 11, 2009. ↑ Peter Baker, "Solidarity for Bush, Democrats: Looking Past Disputes, Sides Join Together to Enact Energy Bill," Washington Post, December 20, 2007. ↑ 22.0 22.1 22.2 "Energy and Environment" The White House Agenda website, accessed April 2009. ↑ "Coal Scores With Wager on Bush Belief", Washington Post, March 25, 2001. ↑ Steven Mufson and Juliet Eilperin "EPA May Reverse Bush, Limit Coal" The Washington Post, February 18, 2009. ↑ David Biello "Can Carbon Capture and Storage Save Coal?" Scientfic American, April 6, 2009. ↑ "The Best Energy Bill Corporations Could Buy: Summary of Industry Giveaways in the 2005 Energy Bill," Public Citizen, accessed November 2008. ↑ Richard Simon and Johanna Neuman, "Bush signs bill to increase fuel efficiency: He thanks congressional Democrats for higher vehicle mileage standards, other measures. Future agreement on further energy-saving policies will be elusive," Los Angeles Times, December 20, 2007. ↑ Kent Garber "Gauging the Prospects for Nuclear Power in the Obama Era" US News and World Report, March 27, 2009. ↑ "Fuel Economy Basics," Union of Concerned Scientists, accessed November 2008. ↑ David Shepardson, "Study paves way for fuel rules: NHTSA releases impact statement on raising auto fuel efficiency standards," Detroit News (Michigan), October 13, 2008. ↑ 31.0 31.1 Bonnie Erbe "Obama Adminstration Undoing Bush's Hit-and-Run on the Environment" US News and World Report Online, April 1, 2009. ↑ Matt Nauman, "Tax credit extension gives huge boost to solar industry," Mercury News (California), October 10, 2008. ↑ "Solar FAQs - Photovoltaics - Financial Considerations," U.S. Department of Energy, August 13, 2008. ↑ "New Energy for America" Obama/Biden Campaign website, accessed April 2009. ↑ Leonard Doyle and Michael McCarthy "Obama Brings US in from the Cold" The Independent, November 20, 2008. ↑ "Implications of the establishment of new hydrochlorofluorocarbon-22 (HCFC-22) facilities seeking to obtain certified emission reductions for the destruction of hydrofluorocarbon-23 (HFC-23). Submissions from Parties (pdf)," UNFCCC, August 23, 2006, pages 9-10. ↑ "Land use, land-use change and forestry: Definitions and modalities for including afforestation and reforestation activities under article 12 of the Kyoto Protocol. Views from Parties on the organization of a workshop, terms of reference and an agenda for work relating to afforestation and reforestation activities under the clean development mechanism (pdf)," UNFCCC, February 27, 2002, pages 38-39. ↑ "Land use, land-use change and forestry: definitions and modalities for including afforestation and reforestation activities under Article 12 of the Kyoto Protocol. Draft text for modalities. Submissions from Parties," UNFCCC, January 5, 2004, page 2. ↑ "Obama Administration Moves Ahead on Climate Change" The Metropolitan Corporate Counsel Online, March 31, 2009. ↑ Mark Silva "Climate Change: U.S. Says, We're Back" Chicago Tribune Online, March 30, 2009. ↑ "Obama Starts Climate Forum for Big Economies" NewsDaily website, March 28, 2009. ↑ "Submission of the United States of America: Mitigation and its Associated Means of Implementation: Ad Hoc Working Group on Long-term Cooperative Action under the Convention," UNFCCC, September 30, 2008. Daniel Whitten, "Obama May Put Renewable-Energy Plan Ahead of Climate Package," Bloomberg, November 5, 2008. Ian Talley, "Under Obama, Dark Days Seen Ahead For Fossil Fuels," Dow Jones Newswires, November 5, 2008. "Obama's Final Budget Calls for 100% Auction of Carbon Permits," Environmental Leader, May 8, 2009. Christa Marshall, John J. Fialka and Lea Radick, "Renewable industry cheers Obama budget while coal and nuclear jeer," New York Times, May 8, 2009. John M. Broder, "Document Is Critical of E.P.A. on Clean Air," New York Times, May 12, 2009. "API slams cap-and-trade compromise," Upstreamonline, May 15, 2009. Ian Talley, "Panel Adds Free Permits To CO2 Bill," Wall Street Journal (sub req'd), May 16, 2009. Darren Samuelsohn, "Complaints from left and right as House climate markup nears," Greenwire / New York Times, May 18, 2009. This page was last edited on 20 May 2009, at 15:11.